It is only when you become a parent for the first time that you truly realize that the danger may be in every corner of your home. With a child, one is never cautious enough, because everything can turn into a deadly tool, as the story of this 2-year-old boy testifies. With a child at home, things you never imagined can suddenly become dangerous, and as a new parent, it can be difficult to know what might be a risk to your child. Of course, we all try to ensure the safety of our homes as best we can, but we can never be entirely sure that we have paid attention to every little detail. Many parents forget that security risks are not only outside, they also hide in the comfort of the home. One can find a danger that exposes children to serious risks in each room. Preventable injuries can be caused by improperly mounted furniture and electronics, unverified smoke detectors and life-threatening medications and cleaning products that are within the reach of children. Unfortunately, many of these accidents occur because parents are unaware of the steps they should take to keep their children safe. Every year in France, more than 2,000 children are injured in the home, which equates to about 6 children per day, of which 230 children die and many of these incidents could easily have been avoided. Domestic accidents remain the leading cause of death for children aged 1 to 4 years. You must always make sure that the interior of your home is safe. You must also take into account the hazards present in the outdoor areas, especially the driveway, front and back gardens, pool and barbecue areas, garden sheds, play areas and cabins. It is exactly with one of these dangers that these Chinese parents had an incredibly scary experience that made the buzz around the world. One day, Chen Chen, 2 years old, was jumping on his bed when an accident occurred. In the middle of the action, the Chinese boy suddenly tumbled and he fell to the ground. Unfortunately, the result was much worse than just a bump on the head. 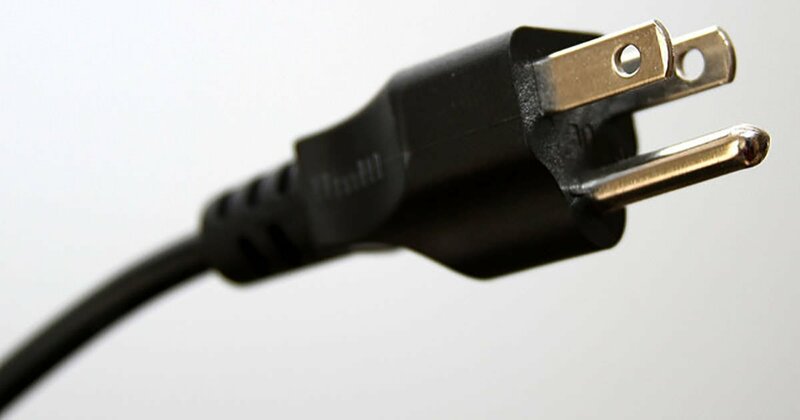 When the boy fell to the ground, he landed his head first on an electrical outlet. 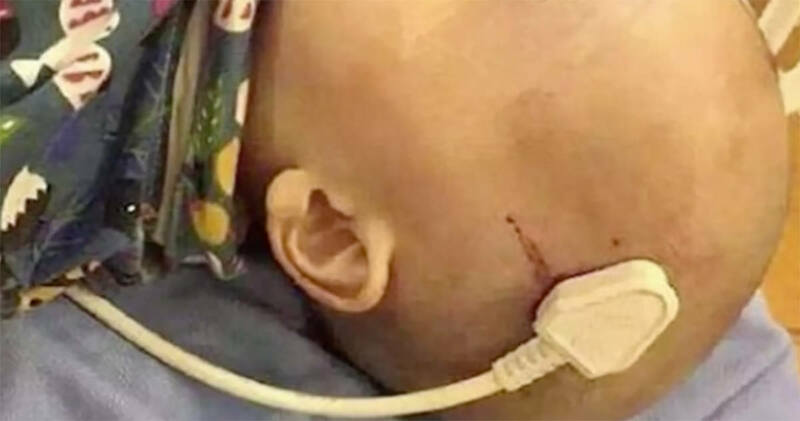 The head of the 2-year-old child was pierced by the pins of the plug. When his parents fell on this horrible scene, they took their child directly to the hospital. Once there, X-rays showed that the pins of the electrical outlet had pierced the boy's brain. 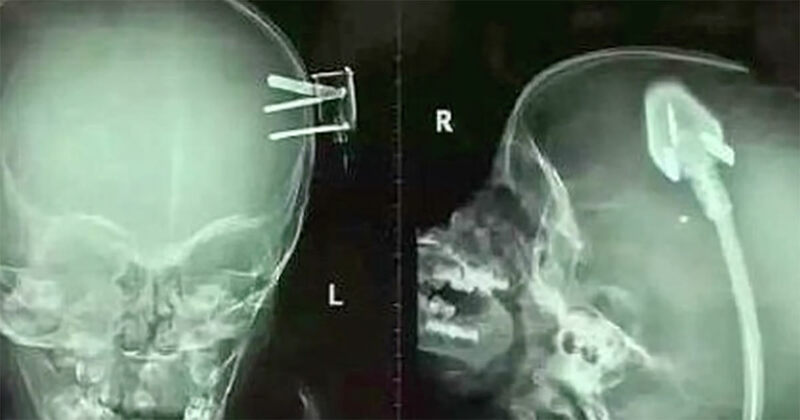 The horrific X-ray images shocked families and doctors around the world. 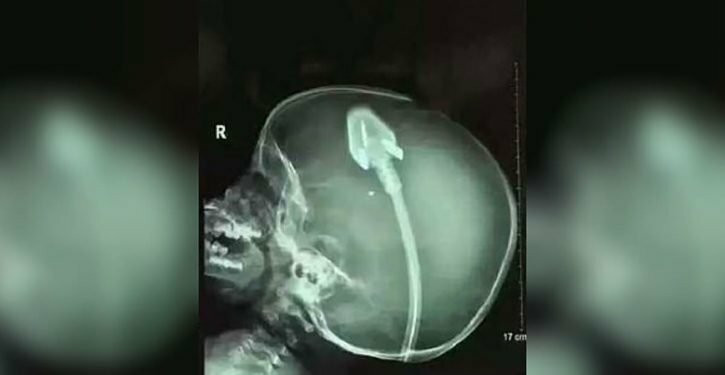 The boy was immediately operated on by surgeons who tried to remove the electrical outlet as carefully as possible from the child's head without causing further damage. After an operation that lasted three hours, the doctors finally managed to remove the plug and sew the boy's head. At present, doctors do not know if the 2-year-old child will suffer long-term brain damage, but for now, they are optimistic that he will recover well. This scary story shows how difficult it is to eliminate all the dangers in the home and how important it is to warn other parents of potential dangers. You are never too careful. Feel free to share this article with your friends to warn them!